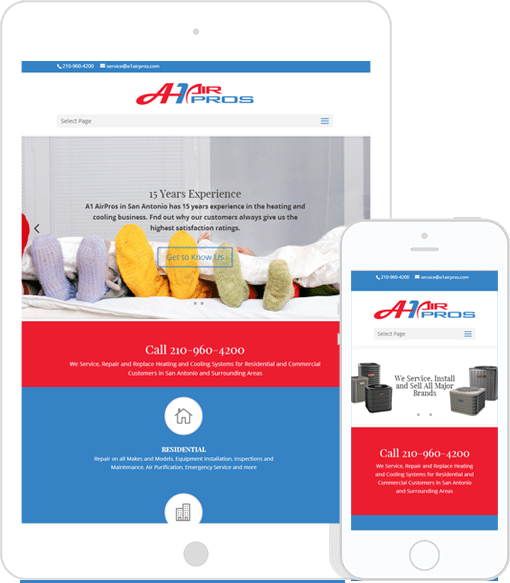 Create a logo and website for A1 Air Pros. The website requires Content Management System. The website should also feature the brands that A1 Air Pros services and sells. The preferred colors for the logo are red, white and blue. The logo features modern fonts in red, white and blue. The website is a mobile-friendly, using WordPress as the CMS. This website was built on the client’s server. It features a clean modern design. With so many using mobile devices for everything these days, it is important that customers are able to find you on their mobile devices.